I have noticed a lot of people use them..
which quality do you use... 1st,2nd,3rd,or 4th..
also if using them on ebay...how many stars.. I am not looking for a brand new ball, but a good ball for a good deal.. I've gotten the 1st and 2nd quality balls. They're both excellent. I highly recommend them. 2nd quality balls are usually in perfect shape. They will have logos on some of the balls. I think the 1st quality balls don't have logos. I have ordered about 25 dozen 3rd qual ProVs with friends. Aside from logos, the balls look like they have been played about one or two rounds. No problems at all. Target here in Scottsdale is selling refurbished proV1 balls for $26 a dozen. They look brand new other then the word "refurbished" printed on them in small text (a sharpie line covers the wording). I played them the other day and found out that they scuff up too easy (like in 8 shots). They must do something to the cover to get them looking so good, but makes the cover really thin. I would avoid them if you see them. thanks alot..i will have to look into that.. I just used them recently for the first time. 1. First order 3 doz TP red second quality. 32 of 36 were like new. 4 had player marks (sharpie) that came right off. One of those 4 had a mark from a wedge hit, but minor. I would tee all of these up like any new ball. 2. Second order 7 doz TP red second quality on sale for 10.94 each, so stocked up for the year. Not quite as good as the first order. 5 dozen were very good quality with few marks (maybe a sight indication they had been hit, or logos from tournaments- about 1/2 I would call like new and the other half 9/10). The remaining 2 dozen were clearly played as some had cart path or tree marks or multiple wedge shot marks that actually took little pieces out of the urethane cover. A lot had stenciled names or corporate logos. Of those, about a dozen I would have no problem teeing up in a money game as the covers are still intact and the cart path marks don't bother me. 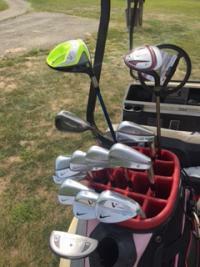 The other dozen I would use for practice rounds or difficult water holes, or days when the swing is off. Two of the balls went to the shag bag because the cover had to many gouges. Overall I am still happy with the second quality and the vast majority are easily playable. For the price you can't beat it as I would never pay 29-39 dollars for new. LGB is great!! I just ordered 4 doz Srixon Zurs, not one has a scuff. I compared them to my last 3 new out the box and the only difference is a few player markings and a couple of logos. I've bought 1st quality from them before and was always very pleased with what I received. I decided on Monday this week to try some 2nd quality this time as they had some specials going on their site. I ordered 4 dozen NXT Tours that came to a whopping total of $28.00 delivered to my door. I received my order today and of the 48 balls, 40 were perfect "as new" condition with corporate logos on a few (no big deal to me). The other 8 had some kind of player markings that came right off with some solvent. Of the 48 balls, only 2 had any signs at all of really ever being hit. I am extremely impressed with their quality, service, and shipping. Next order I might throw in a dozen 3rd quality just to see how good they are. Simply thrilled with all my orders from them. decided to just order some 3rd quality pro v1s..for the price, what the ****..plus i still have a couple brand new dozen on hold..still early in the season here..
they will be here tuesday of next week so i will give an update on the condition fo the balls..
Keep us posted man! I'm telling EVERYONE about this place.. I might start playing premium balls again with deals like this! pro v1s arrved today...man if thats 3rd quality, what in the world does second or even 4th look like..
i am a customer for life..
Big question for me - are the balls LGB.com uses retrieved from water-hazards? About 4 years ago there was an article in a golf magazine about how water-logged balls don't perform as well...but that might have been a test of balata or previous-generation balls. either way, if the balls been sitting in water for 3 weeks, it seems logical that it would do something weird. I'm no scientist but if the ball has that pale brown colour on it then it's been in the water for awhile. Some play like normal but I've found some disintergrate after a few full and lusty blows with the driver. I sell used golf balls in NZ for a living and I no longer sell any with that discolouration just in case my customers get that one that falls to bits. I agree with a previous member to stay away from refurbished golf balls. Some will play as normal and others will scuff within a few shots. LGB are fantastic value and I only wished it was cost affective to import them to NZ. I use Bustinballs for my used golf balls as I import a s**tload of them every 6 months and it's more cost affective. Does anyone know of any other reputable companies that sell large number of premium used golf balls (Pro V's, Callaway HX Tours, Nike Blacks/Platinums etc). I live in Houston and recently started using Lost Golf Balls again. 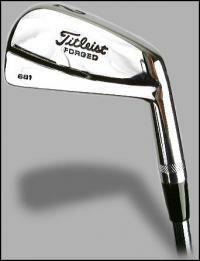 Last week I ordered 2dz HX HOT, 1dz NXT extreme, 2dz Topflight D2 straights for a little under $50. All were 2nd quality. 1 NXT had a cart path scuff the rest were logo'd or player marked. Same with the HX Hots. The D2's were like brand new. These 2nd quality balls are great and cheap! I was talking to one of my co-workers who lives there in Sugurland (outside of Houston) where LGB is located. He called them and they have an actual store front. If you go in to the store front YOU can actually pick your balls!